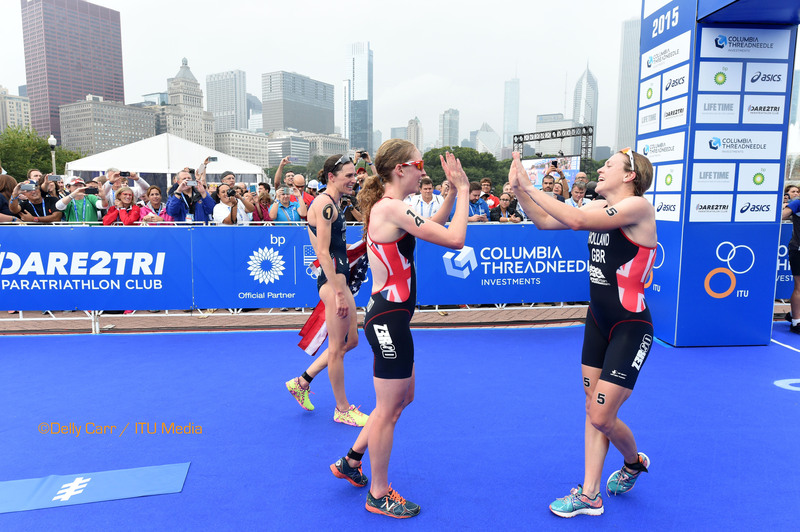 Six months after the record-breaking events of the 2015 ITU World Triathlon Grand Final in Chicago, the 2016 season is almost upon us. The Columbia Threadneedle Rankings Report is back to bring you insight into the key performers during the Olympic year. In a special edition to kick off the season, this report previews the 2016 season ahead of the first event - the ITU World Triathlon Abu Dhabi. Will it be another Spain versus Great Britain battle for National Federation honours in 2016? 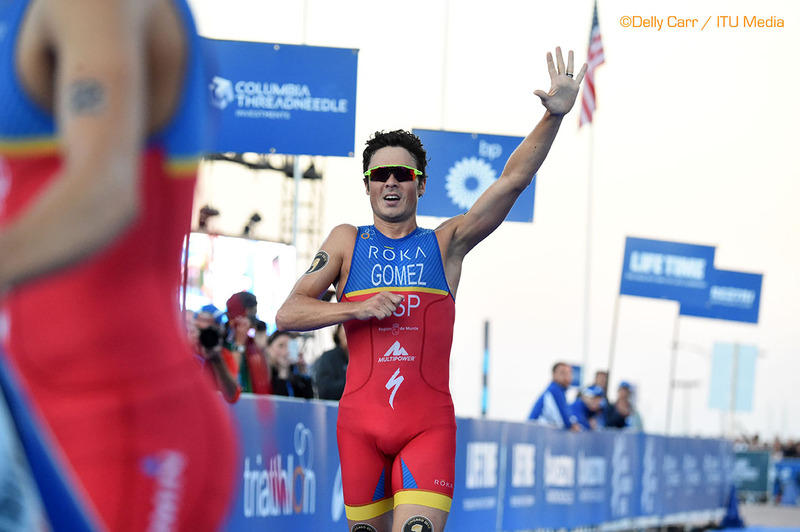 In winning his fifth ITU World Championship in 2015, a first for any athlete, Javier Gomez Noya (ESP) made it three consecutive titles by once again heading the Columbia Threadneedle Rankings. On the podium eight times from his nine WTS race starts last year, Javier collected wins in both Yokohama and Stockholm to bring his career total of World Triathlon Series wins to 12. Remarkably, he has now earned 36 podium positions from 48 ITU World Triathlon Series starts, and if anything, is still improving. The closing chapter of the 2015 season was that remarkable head-to-head run at the Chicago Grand Final between Javier and Mario Mola (ESP). Finishing with a stunning 28:59 10km run split, Mola edged out Gomez to take second place in the Columbia Threadneedle Rankings for the second consecutive season. Perhaps more importantly for his rivals, Mola had his best ever swim in Chicago to be right in contention from T1. Mola is a serious contender for Olympic Gold. With Jonathan Brownlee (GBR) 11th and Alistair Brownlee (GBR) 14th in the Columbia Threadneedle Rankings for 2015, one might be forgiven for thinking that the legendary brothers from Leeds may be fading. However, closer inspection suggests that is far from the full story. While injuries to both limited their ability to race in 2015, with just seven World Triathlon Series starts between them, they did win – comprehensively – two races each, and who can forget that incredible head-to-head sprint between Alistair and Gomez in Yokohama? Alistair has now won at least one ITU World Triathlon Series event every season since it began in 2009, with a record breaking total of 19 gold medals so far. For Jonathan – with an impressive 10 wins of his own – his performance in Gold Coast was one of the finest we have seen from any athlete in recent years. Write off this pair at your peril. Vincent Luis (FRA) was the breakthrough name of 2015. Third overall in the Columbia Threadneedle Ranking thanks to six, top-five finishes, he joined a very exclusive club of WTS race winners in Hamburg. Strong across all disciplines, Luis will be a threat at every race once again this season. Richard Murray (RSA) also had his best season to date, ending the year ranked fourth in the Columbia Threadneedle Rankings. Three years after his first win in Hamburg (2012), Murray returned to the top step of a World Triathlon Series podium again in Edmonton. A strong runner, he also finished third in the Rio Test Event on the Olympic Games course with the fastest run time of the day. Who are the up-and-coming names to look out for this year? A World Champion at both Junior and Under-23 level, Dorian Coninx (FRA) secured top-10 positions in both London (6th) and Hamburg (4th) last year in his first season. He’s yet another fast Frenchman to watch. Jacob Birtwhistle (AUS) finished ninth in Yokohama last year before later taking the Under-23 World Championship title in Chicago. Another year on, look for some strong performances from the young Aussie this season, as well as Rio-bound Aaron Royle (AUS). Will it be Gwen, again? Gwen Jorgensen (USA) simply dominated in 2015. Winning all seven of her World Triathlon Series starts, Gwen extended her unbeaten streak of WTS races to 12 on the way to defending her World Championship title with maximum points in the Columbia Threadneedle Rankings. It will be interesting to see whether that streak proves to be a burden or provide further confidence to an athlete who has improved her performances across all three disciplines over the past 18 months. Team USA would certainly win the strength-in-depth award for 2015. They completed podium sweeps in both Gold Coast and London proving that their talent is significantly more than Jorgensen alone. They filled more than half of the podium positions across the season, earning 16 of the 30 medals available from the ten WTS events held last year, with Sarah True (three) and Katie Zaferes (six) regular visitors to the podium. As well as Columbia Threadneedle Rankings points and the battle for the World Championship title, the early season will provide interesting racing for Olympic Games qualification too. While Zaferes made the podium six times from eight starts in WTS races last year, she has yet has not secured her place for Rio. Will she be able to earn that final birth alongside Jorgensen and True? For the strong British team, Jodie Stimpson and Helen Jenkins look set to contest for the final Olympic Games spot alongside the already-selected Non Stanford and Vicky Holland. Both Stimpson and Jenkins start in Abu Dhabi. Look out for more head-to-head battles within several National Federations as Olympic selection deadlines approach in the early part of the year. 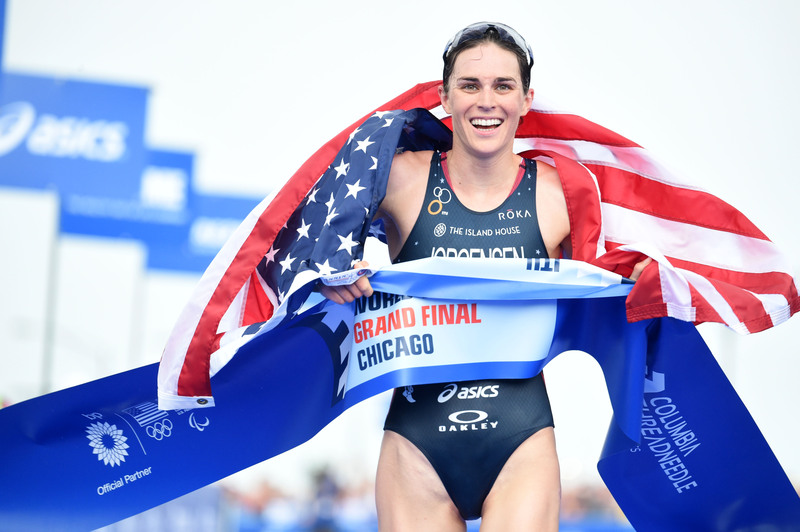 By finishing fourth at the ITU World Triathlon Grand Final in Chicago, Andrea Hewitt (NZL) earned a fifth career ITU World Championship medal, moving past True in the final Columbia Threadneedle Rankings for the year by just six points. Among the younger athletes to watch this year are Laura Lindemann (GER), World and European Junior champion for the past two seasons. Lindemann raced five WTS races last season, finishing well inside the top-20 in all of then, with a best of seventh on home soil in Hamburg. Fellow German athlete Sophia Saller is also showing huge potential. The 2014 Under-23 World Champion had a season’s best performance of fourth in Cape Town last year. Watch out for the French athletes too. Audrey Merle and Leonie Periault shared an incredible sprint finish at the Under-23 World Championships in Chicago and could challenge the established stars of the sport this year. Merle will race in Abu Dhabi. 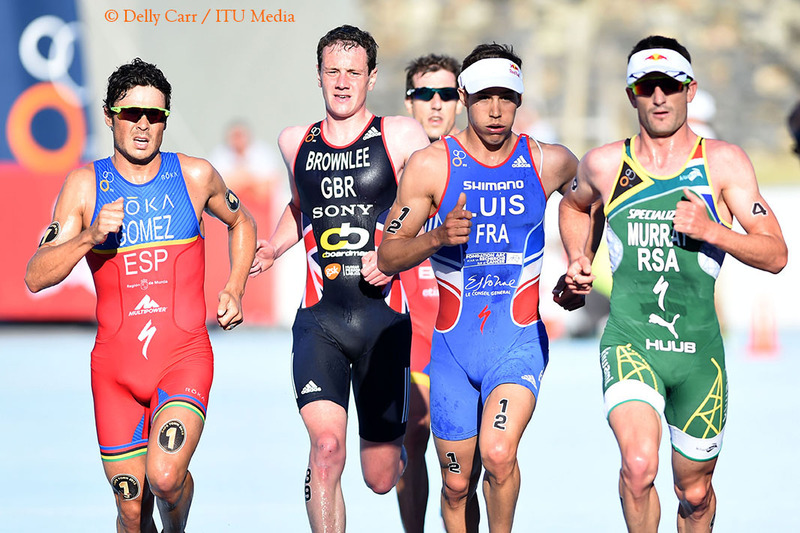 •	The ITU World Triathlon Series comprises of nine events in 2016, starting in Abu Dhabi and concluding with the Grand Final in Cozumel, Mexico. •	The first four races of the series offer points, which count towards Rio Olympic Games qualification process. 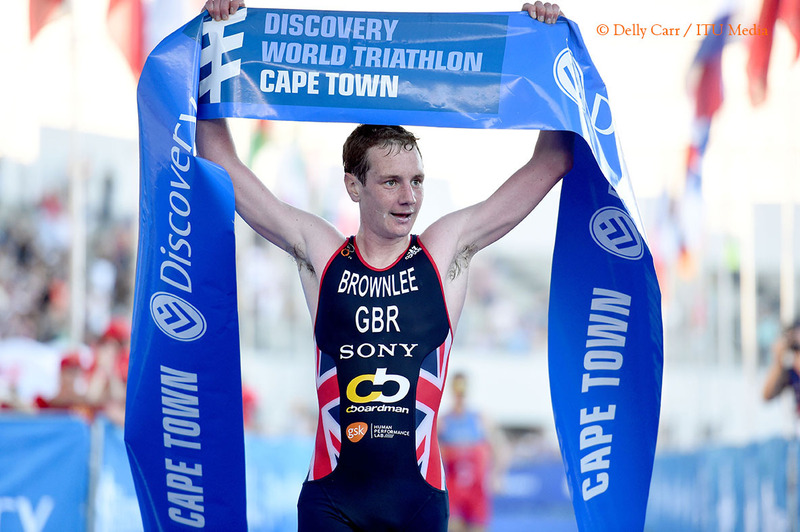 •	The UK leg of the ITU World Triathlon Series will be held in Leeds this year – the hometown of the Brownlee brothers. •	Cozumel, Mexico is the other new venue for the series. Previously a World Cup event, Cozumel will host the 2016 Grand Final in September. •	Five times an ITU World Champion, Javier Gomez (ESP) has headed the Columbia Threadneedle Rankings for the past three seasons. •	Gwen Jorgensen (USA) has been the leading woman in the Columbia Threadneedle Rankings in both 2014 and 2015. This report is brought to you in partnership with Columbia Threadneedle Investments, Global Financial Services partner of the ITU World Triathlon Series and Title Sponsor of the official rankings. Join the conversation on twitter with @CTinvest_tri or by using #CTrankings.